The Canada’s Walk of Fame Award is bestowed annually to Canadians who have demonstrated the true essence of the Canadian identity. The Grand Empress of Sci-fi, as so lovingly named by her many adoring fans, would join inductees from 2012 such as Sarah McLachlan, Phil Hartman, and former inductees like Nelly Furtado, Kim Catrall, and James Cameron. One of Amanda’s biggest supporters, Mike Carvalho, @GateworldRocky on Twitter, is working very hard to make this happen. Using YouTube, Mike sings the praises of Amanda’s infectious personality and magnanimous attitude. As a fan myself, I can completely understand his passion. Amanda Tapping is not only beautiful, but conveys a strength and intelligent female role model for today’s young women. Her role in the Charitable Foundation “Sanctuary for kids” has successfully raised hundreds of thousands of dollars for causes both worldwide and locally in Vancouver. Amanda is joining “Supernatural’s” eighth season in a major recurring role. She will play Naomi, an angel who wears a business suit and has her hair pulled back. Amanda’s character will make her first appearance in the seventh episode of the new season entitled “A little slice of Kevin”. Best know in Sci-Fi circles as Captain / Major / Colonel Samantha Carter in the highly successful MGM television series “Stargate SG-1” – Amanda enjoyed a starring role in the SyFy Channels much loved series “Sanctuary,” where her character led a team of extraordinary people whose mission was to protect the “abnormals” of Earth. If you, like so many adoring fans, believe Amanda deserves her own star on Canada’s Walk of Fame, you can do your part by going to canadaswalkoffame.com and submitting your nomination for Amanda. I myself have already put in my nomination, and I urge all my Faithful Followers to do the same. It takes mere moments, and I can think of no one more worthy of this prestigious honor than our beloved Amanda! From the Editor: With the end of Stargate Universe on Syfy this week, fans of the show are understandably upset. Why was the show cancelled? Did the move from Friday nights do it more harm than good? 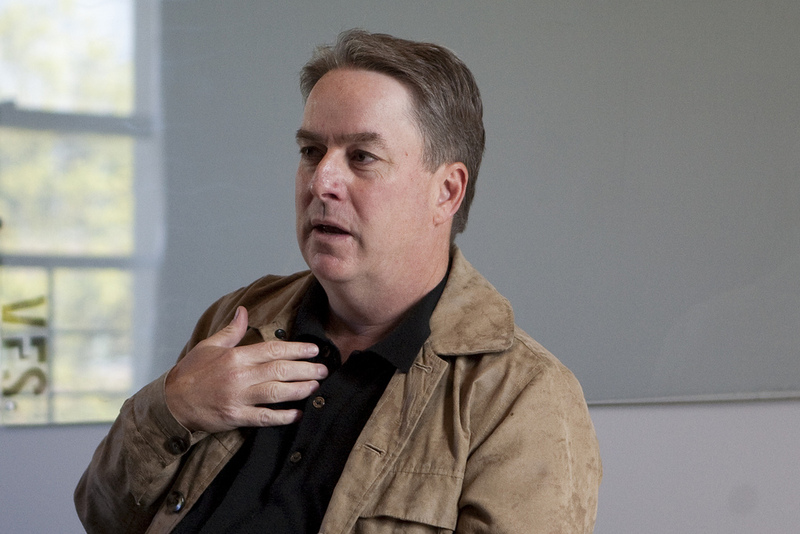 Today we welcome a guest post from Craig Engler, Senior Vice President and General Manager of Syfy Digital. Our thanks to Craig for taking the time to respond to some of the concerns coming fromStargate fans, and to explain the network’s decision-making process. entire Stargatefranchise, would be a good place to do it. So thanks to them for giving me the space here, and thanks to you for taking the time to read this. Because Stargate SG-1 and had performed so well for us in the past, we felt confident about SGU and committed to a two-season deal for it, as long as the show met certain milestones along the way. Two-season deals are rare in the TV world because they tie up a huge amount of investment (both time and money), but our great track record with MGM and Stargate made this seem like as much of a sure thing as you’ll get in the TV business. That means before any footage was shot or any actors were hired, we knew there’d be 40 episodes. The show quickly moved forward and officially launched on October 2, 2009. The debut was watched by a good if not spectacular 2,779,000 viewers. To give that some perspective, Stargate Atlantis debuted with over 4 million viewers, so SGU was more than 25% below that. On the plus side, SGU actually grew in week 2 to just about 3 million viewers before falling into the 2.6 million range where it seemed like it was going to settle. That’s a fairly typical pattern for a new series, and at this point the show was doing okay. With untenably low numbers and no sign of growth on Fridays where it had now lost 1/3 of its initial audience, we decided to move SGU for its second season. We’d had tremendous success on Tuesday’s with our breakout hit Warehouse 13, so we paired SGU with Caprica and moved them to Tuesdays, hoping to introduce both shows to a new audience. As you probably know by now the downward trend continued and ultimately we weren’t able to continue either series. We started the show on Fridays where we’ve had the most success and where it initially did well, and we left it there until it started struggling. When it was clear the show had fallen to unsustainable levels and would not survive on Fridays, only then did we move it to the night where our highest rated show of all time had recently aired. As you can see from the ratings above, the biggest drop in viewers came before the hiatus, not after. In fact, SGU actually grew around 10% after the hiatus between season 1.0 and 1.5 in its first two episodes back. When left on Friday nights SGU lost 1/3 of its audience and dropped to consistently unsustainable ratings levels. The only hope of keeping it was to move it to another night where new viewers could find it. If we didn’t like science fiction we simply wouldn’t have made SGU. It’s because we like science fiction that we tried it. Even though SGU was ultimately unsuccessful, we don’t regret trying it. Science fiction shows are the backbone and lifeblood of our network, and we have many in development. Later this year we’ll be debuting Alphas, the Battlestar Galactica: Blood & Chrome pilot is being worked on as you read this, the movie Red Faction starring Stargate Universe‘s Brian Jacob Smith will air next month, 5 of our original dramas will return with new seasons or new episodes this year, and we’re working on many more behind the scenes. There is literally no one other than MGM who supported it more than we did. We were the only network who gave the show a try and the only ones who committed to making and airing 40 episodes before a script had been written. We invested tens of millions of dollars and thousands of hours of work over many years making and supporting the show. We would have happily kept making SGU regardless of anything else on our schedule if the ratings were sustainable. We don’t discontinue successful shows to make room for other shows … no network does because no network has a full roster of successful series. 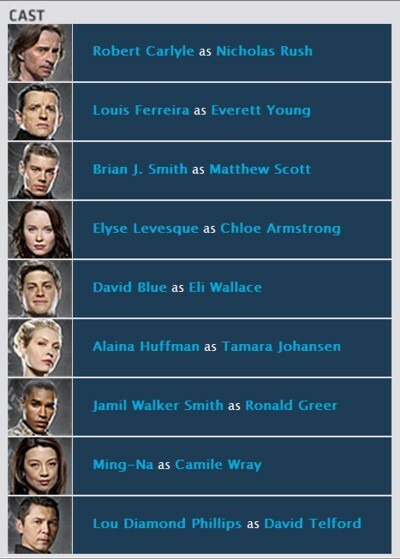 SGU was judged solely on its own ratings. We love Stargate. Combined we’ve made 12 seasons of 3 separate series and helped support two SG-1 films. It’s been an amazing ride and we’re incredibly proud of the cast and crew of all the shows, and thankful to all the viewers who watched. Note: The ratings I used above are Live +7 numbers, or the total number of viewers who watched the show live and during the following 7 days via DVR. Although advertisers buy based on just the 18-49 segment of these numbers and thus the 18-49 ratings would be much smaller, I’m using L7 numbers here for convenience as they represent the total audience. The % drops and lows of the 18-49 numbers would be even more significant (i.e. worse) than what the L7s show, but not so much that it’s worth doing all the math for. I have read much on the Stargate franchise as of late. Aside from the obvious sadness of losing a brilliant and entertaining series of shows, I am hearing nothing save callow, misinformed malcontent. Every reason for the cancellation of the Stargate Universe series is covered in Craig’s press release. If you can honestly read every line and continue to deprecate the SyFy channel, MGM, and most inappropriately Craig Engler himself, you need to reexamine the said text because you have obviously missed the point. Look, this is what I am trying to say; all the admonishment, the blame for what has happened is comprehensible. However, it solves nothing. 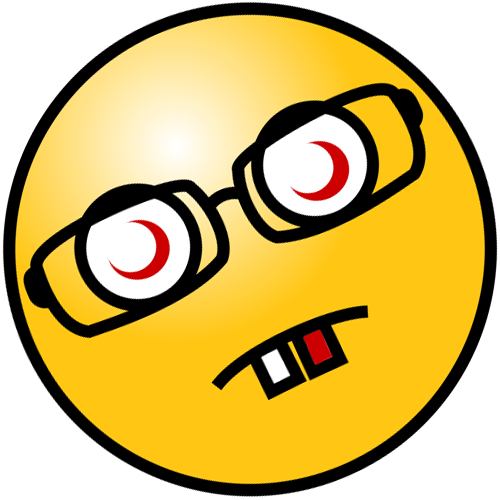 It only serves to make the person complaining look juvenile and obtuse. Not only this, it may serve to impair ANY chance that another network would even consider picking up the franchise. It takes very little aptitude to understand what a potential network wants to hear. Numbers, it all boils down to numbers. Do your research people, don’t be lazy and simply complain about what has happened. DO SOMETHING ABOUT IT. Take all that energy you expend spewing insults at those individuals who are powerless to do anything about it, and redirect it towards a resolution. Do you want to see new episodes of the Stargate franchise? Then help these potential networks by showing them the numbers. Do your research, it will take hours, days, months to come up with enough information to prove that throwing the money at a return is going to pay off. Play devil’s advocate, put yourself in the big chair for once. The numbers coming in are too low. The DVR ratings don’t count because the advertisers are looking for views of their ads. Too large a portion of DVR viewers bypass any ads because no one enjoys commercials. This is useless to a network to convince an advertiser to spends thousands on ads that will never be seen. If indeed you spend your time and energy on the proper research, put the polls and petitions, and ultimately find that the numbers are STILL too low, only then will you finally be able to appreciate what SyFy and MGM are going through. If, however, you discover that the numbers you get back are more than adequate, then a potential network will see reason and Stargate may be reborn from the ashes. 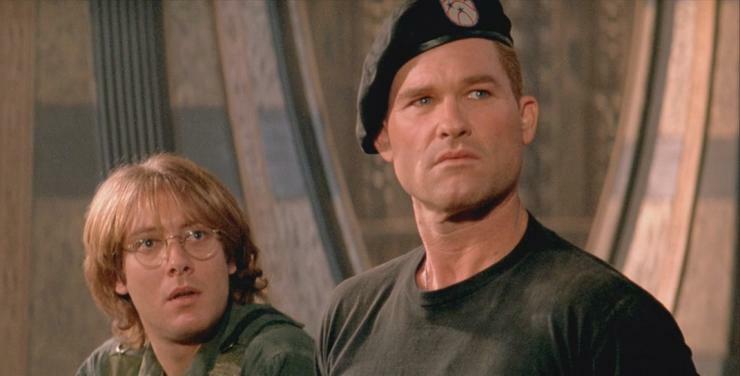 The Stargate franchise, a very successful run on SyFy has come to an abrupt end. But don’t shoot the messenger just yet. There are valid reasons for everything, and sometimes, we have to walk a mile in someone elses very expensive shoes. Now, this does NOT mean that ANY deals have been made for a return. But the hope is not entirely lost. The best advice to fans is to continue the “Good Work” and relentlessly campaign for SGU’s return. I can say this, Faithful Followers, TV is bloody EXPENSIVE! If SGU has any hope of returning, it will have to be proven to the respective network that it is going to be financially benificial. I will keep you up to date as more information comes in. There is more to come, so watch this space, faithful followers! MAKE SURE to stay positive and stay focused on the message, don’t bring in other issues. For maximum effect, the messages should be purely be about Universe, and we should be respectful toward MGM. Though mailing MGM is very important, the most effective way is to let the viewing/sales numbers speak for themselves. You can support SGU by buying the DVD’s/Blu-ray’s, or by purchasing the shows off of Itunes or Amazon. If you live in the U.S. you can also support the show by watching or re-watching Universe on of Hulu, or in syndication. If you live in another country, you can help by writing to a local TV channel and recommend they pick up airing rights for Stargate Universe. 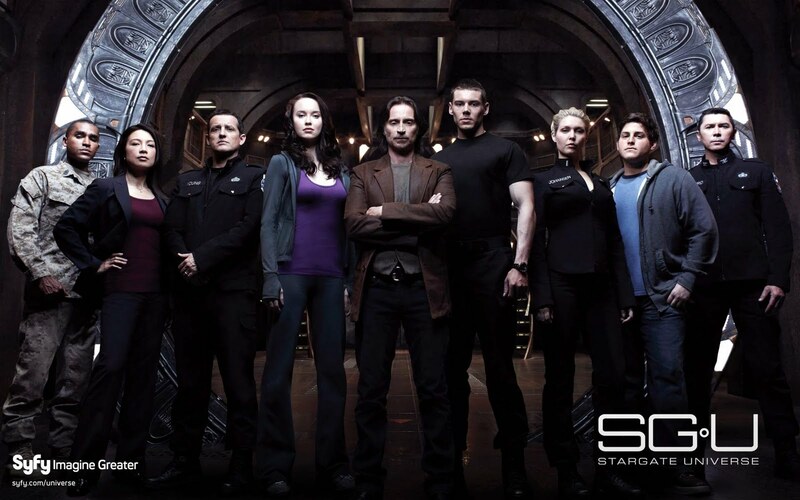 And, as always, be sure to spread the word about Stargate Universe and get friends hooked on the show. Be sure to vote for @MGM_Studios in the shorty awards for Television! This is a great way to show fan support for SGU. It is relatively easy to vote just visit the link above, change the category to Television and add a reason. A reason must be included for the vote to be counted! They’re currently aware of this effort, so even if they don’t win they will see that the Stargate Franchise is still worthy of continuation!